Around the Common: Wondering what Pinterest is all about? Wondering what Pinterest is all about? 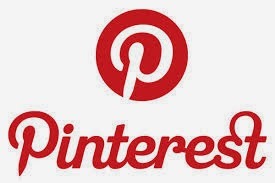 Wondering what Pinterest is all about? Do you have recipes bookmarked all over the Internet? Shelley Quezada of the Massachusetts Board of Library Commissioners will share her enthusiasm and knowledge about this addictive website and about food and cooking in this free “Recipes & Pinterest: Organizing Your Online Recipes” workshop. The program is scheduled for Tuesday, February 25th at the Bridgewater Public Library, beginning at 6:30 p.m.
Pinterest is a tool for organizing and collecting things you love, i.e. recipes, book titles, music, crafts and more. Ms. Quezada’s workshop is not just for cooks. Crafters and other hobbyists will find plenty to do with Pinterest too! Shelley Quezada is a consultant for the Massachusetts Board of Library Commissioners (the state library agency), where she manages grant-funded projects to libraries using Library Services and Technology Act (LSTA) funds. A longtime advocate of library support for family literacy, Quezada was a recipient of the Massachusetts Library Association "Hall of Fame" award in 1998. She is also the 2011 recipient of the New England Library Association's (NELA) Emerson Greenaway Award for Distinguished Service in Librarianship. “Recipes & Pinterest” will be held in the Flora T. Little Meeting Room on the library’s lower level, accessible by stairs and elevator. Parking is available in back of the library, located at 15 South Street.